You hear a lot about greener cars these days, but what about airplanes? While it may be the fastest and most convenient way to go long distances, air travel remains the most environmentally unfriendly mode in our mix of transportation options. Airplanes require massive amounts of petroleum-based fuel that deposits greenhouse gas emissions directly into the atmosphere (where they’re two to four times more potent in causing global warming than equivalent ground-level emissions). The UN’s Intergovernmental Panel on Climate Change (IPCC) reports that aviation is responsible for some 3.5 percent of human-caused global warming to date and expects that figure to grow to somewhere in the five to 15 percent range by 2050 if we don’t take action soon to curb emissions. We can expect to see even more dramatic gains when so-called blended wing-body (BWB) designs go mainstream. Thanks to their broader wings and the resulting higher “liftto-drag” ratio, these futuristic planes are significantly more aerodynamic than conventional jets. 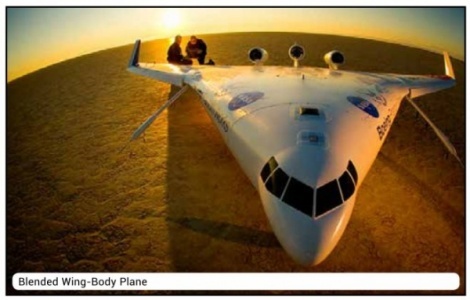 The Air Transport Action Group (ATAG), a non profit focusing on sustainable development in aviation, reports that these BWB-design planes can go as far and as fast as conventional jets on 75 percent of the fuel. But don’t hold your breath: Researchers don’t expect BWB planes to be ready for commercial use for another two decades. And as in the auto industry before it, aviation is now abuzz with talk of hybrid-electric and all-electric planes. Seattle-based Zunum Aero plans to have a prototype of its hybrid-electric 19-seater commuter plane ready for test flights by 2020, and hopes to start supplying airlines soon thereafter with commercial-grade models. Meanwhile, Silicon Valley’s Wright Electric is collaborating with Europe’s easyJet in developing a new batterypowered aircraft designed for short - hop commuter routes. These new allelectric planes, which should be ready for prime time within a decade, will be 10 percent cheaper for airlines to buy and operate than traditional jets - and without the emissions stigma.